Everytime we go into an international break, fears and concerns about potential injuries naturally arise in all corners of Europe. 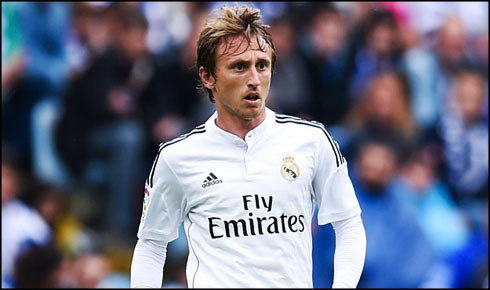 Real Madrid was one of the victims this time around, with Luka Modric picking up an injury that should sideline him for the next 2 to 3 months. How is Carlo Ancelotti going to turn around this major upset? If you're a top level European coach at one point or another you've likely cursed the heavens at the thought of the international break. Not only can it disrupts squad harmony and tire out players, worst yet, it always seems to leave casualties bruised and battered. Then the onus is on the club for their recuperation. For Carlo Ancelotti, his opportunity to bemoan the toll that international fixtures take on his players came last week, in the form of Luka Modric's thigh injury. Modric picked up the injury playing in a EURO 2016 qualifier against Italy. He pulled up lame after a mere 27 minutes clutching his hamstring, the grimace on his face alone leaving no doubt as to the seriousness and ultimately the severity of the injury. Filling the midfielders boots will be a difficult task for Real Madrid. Reinvented under Ancelotti, Modric has become a player who can precariously balance his attacking and defensive duties, while still exhibiting the class and technique that made him such a threat in the final third, earlier in his career. He's still as stylish as ever, often brilliantly dribbling out of trouble and retaining the ball even when the odds and opponents are seemingly stacked against him. He's been fantastic wherever Ancelotti has played him this season. Playing so close to the defense may not be ideal for his skillset, but his dribbling out of the back is very reminiscent of Luka. One problem however, is that by starting Isco, Madrid's attacking options off the bench become even more limited, leaving only Jese, who is recovering from an injury and will not be rushed back, and Chicharito. Isco's defensive work has improved leaps and bounds in the past year, so he's no slouch in that department, though, it remains to be seen if he can be disciplined enough when Real Madrid take on more challenging opponents. Touted as the Xabi Alonso replacement, the young Spaniard has found life in Madrid harder than expected. He's mostly been fine when given the opportunity, but he's still yet to reach the heights of 2013, when he starred in Real Sociedad's midfield en route to a Champions League berth. Illarramendi is static and lacks pace, but he has a knack for being in the right place at the right time. He's great breaking up the play and playing the simple pass (in this regard, he trumps Khedira). Where he tends to falter usually occurs when he's forced to make longer passes, but with Kroos alongside him, he shouldn't have to worry about that. The jury is still out on Asier and if he doesn't make a step up this season, it could be a sign that he isn't quite cut out for life at Real Madrid. Cristiano Ronaldo next game will be a UEFA Champions League fixture against Basel FC, scheduled for this Wednesday, November 26. You can watch Juventus live stream, Basel vs Real Madrid, APOEL vs Barça, Manchester City vs Bayern Munich, Schalke vs Chelsea, and Bayer Leverkusen vs AS Monaco, all matches provided from our live soccer game pages.